A well-structured resume often open chances of better job opportunities. A flawless resume samples must not encompass any sentence depicting humour or sarcasm, pen down all the aspects lucidly and with uttermost clarity. 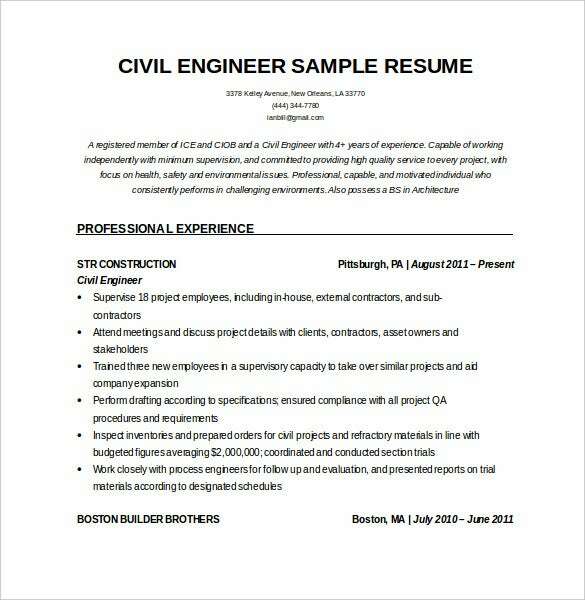 A civil engineer resume must comprise of the contact details, a properly defined objective followed by a best resume templates, degrees, diplomas, certifications, honors etc, work experience, the responsibilities that the person was entitled to like approving structural steel shop drawings, resolving bugs at the job site or managing calculations for a walk through by the authorities etc. It is always important to structure the resume format properly. 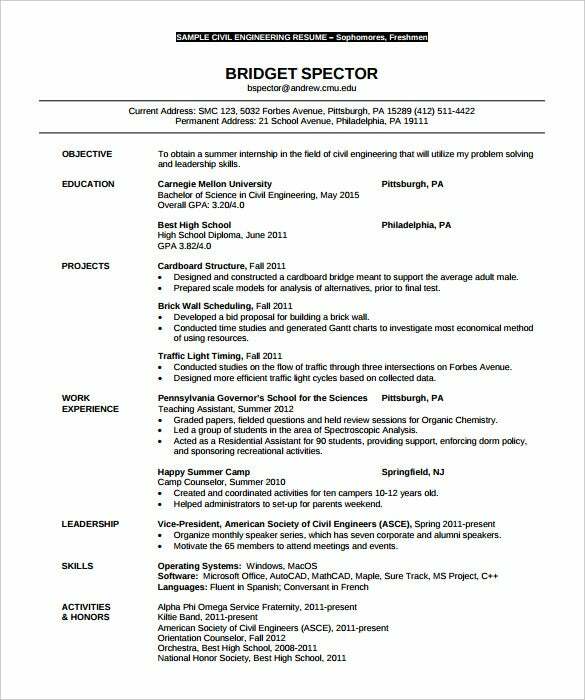 Properly structured resumes always pave the way smoothly towards better career opportunities. The resume needs to be designed in the most flawless manner possible. It should never try to, by any means, encompass specific phrases that could depict some kind of sarcasm or humor. It is necessary to pen down every aspect with utmost clarity and lucidly. 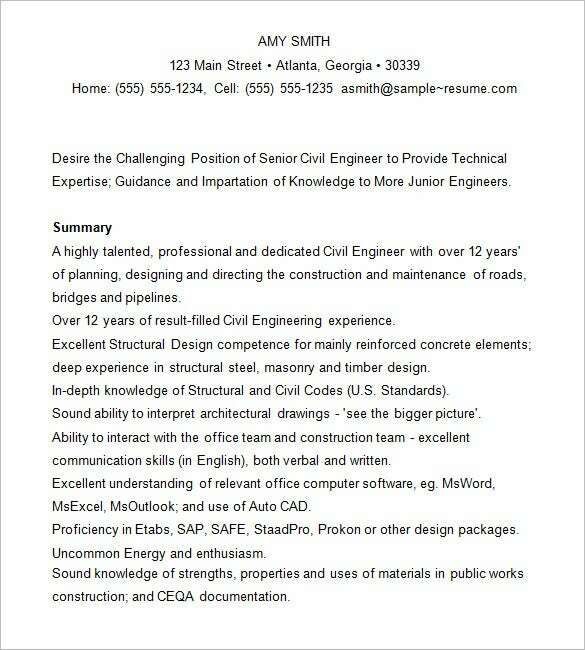 What Should the Civil Engineer Resume Comprise of? 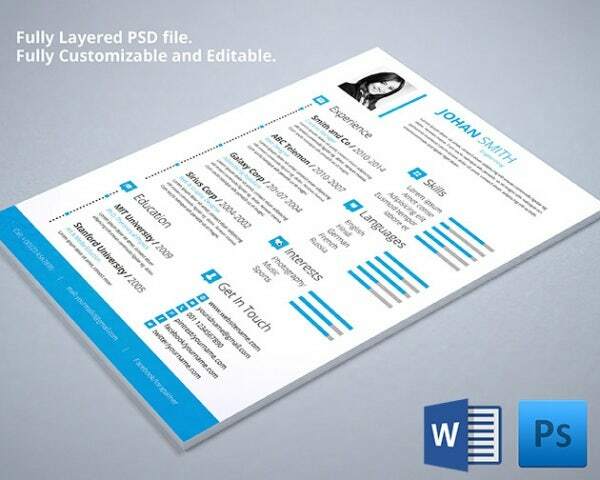 There are ready made templates available that could be used for effective development of professional resumes. 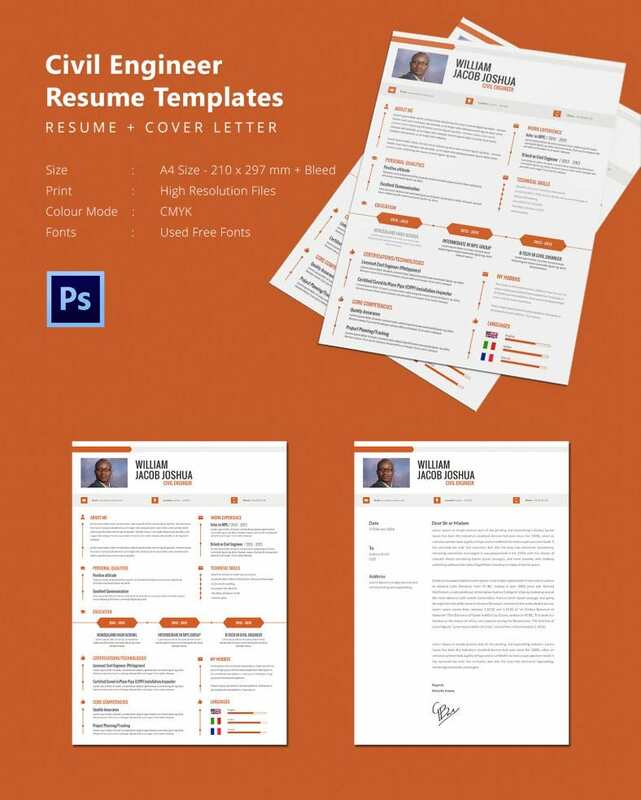 No matter if you are a fresher or experienced professional in writing resumes, using sample templates would always be beneficial in saving a whole lot of time while ensuring better resume development with eye catching layout, gripping content, and clear design. It could often be a difficult task to start up with the resume writing process from scratch. The presence of professional resume templates would help in saving a whole lot of time and effort. With the help of professionally designed resume templates you can save lot of effort and time on procedure. It is not about the profession you are in or the title. What really matters is the type of resume you want to develop. 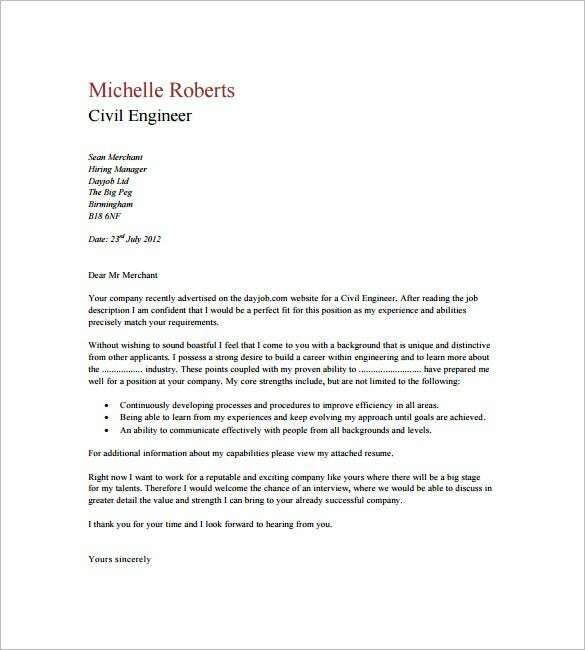 There are numerous resume templates available exclusively for the civil engineers. 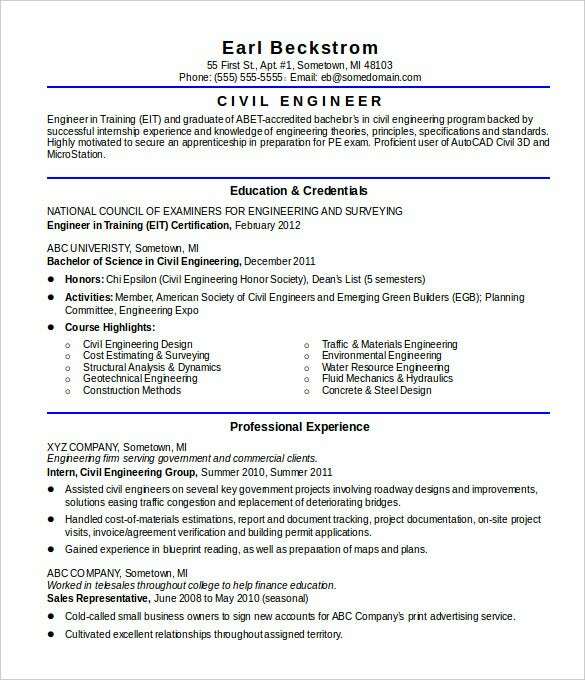 Simply search through the net to figure out specific civil engineer resume templates. It is not about judging whether they are good or bad. What matters most is to figure out the specific options available when developing the resume. It is also necessary to look into the customization feature. It is all that makes sense. Look for the availability of columns, additional space, and option to include images into the template. Also, figure out whether it is a single page format or multi-page. 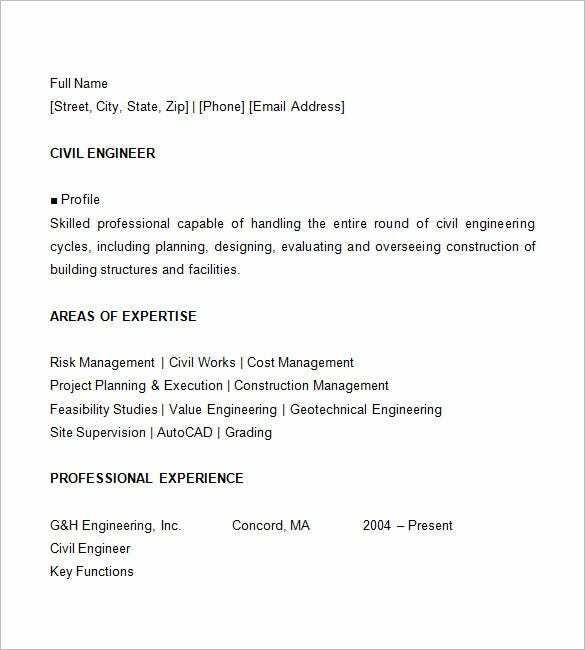 You may also see HVAC Engineer Resume Well Crafted Civil Engineer Resume for Freshers & Experience Candidates is available for download in PDF and Word format. 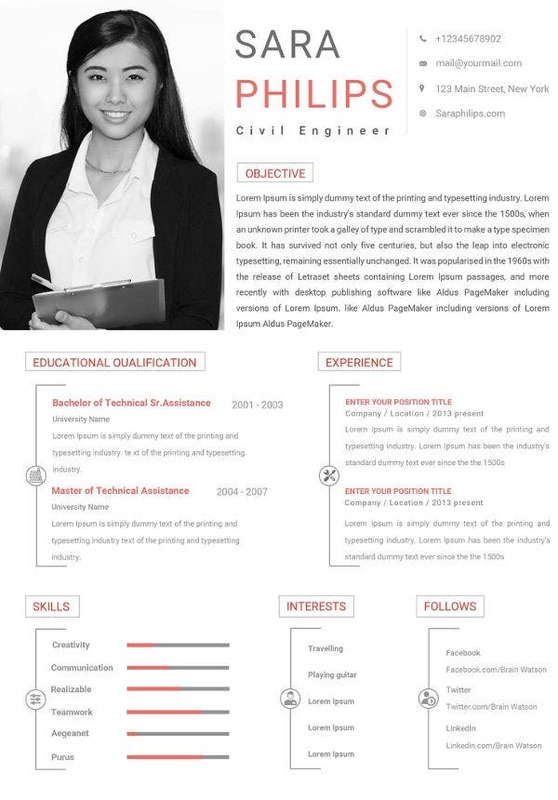 This civil site engineer resume is printer friendly and comes with layered PSD files, well organized design, and perfect documentation. 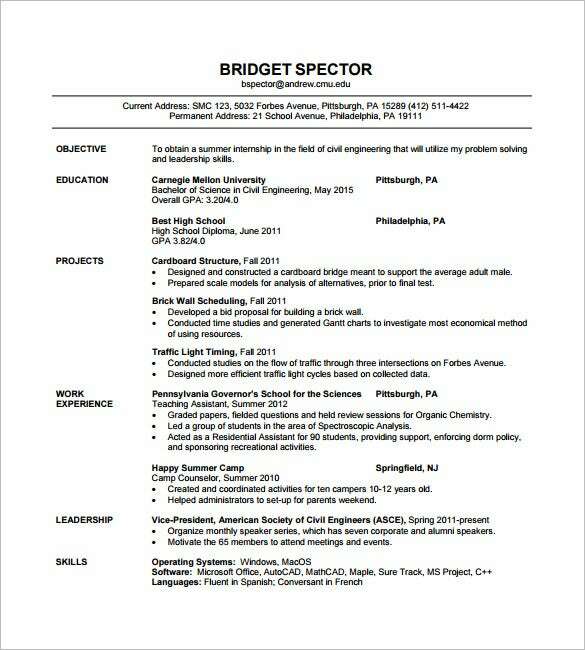 monster.com | Sample Resume Civil Engineer Entry Level Template can be downloaded for free from different sites. 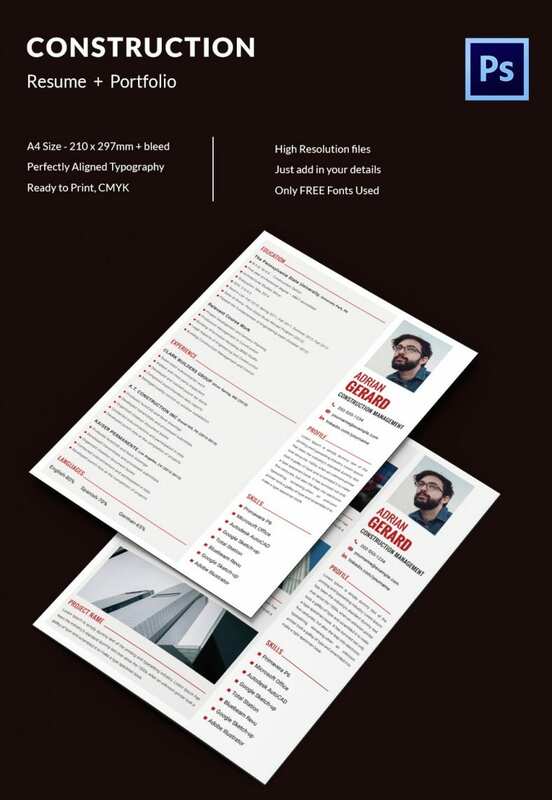 This civil site engineer cv is fully editable and comes with numerous web fonts, 300 dpi resolution, and layered PSD fies. 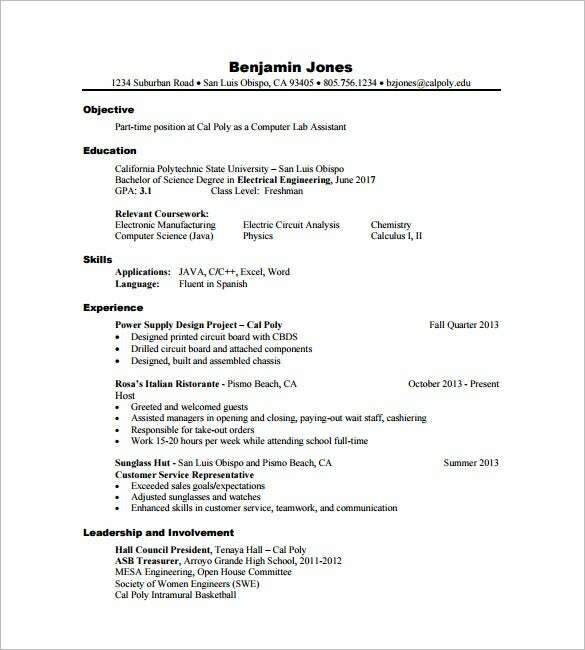 dayjob.com | Printable and editable civil resume Engineer CV Template Example is available in pdf format download option. 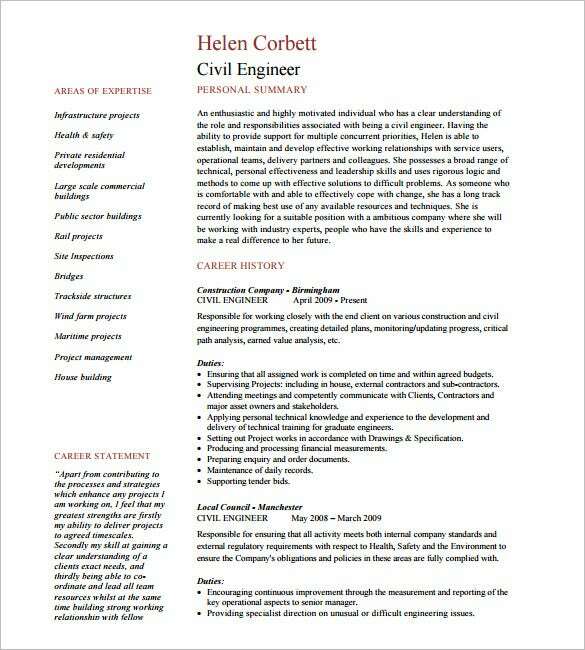 This structural engineer resume pdf has a professional appearance and promises compatibility with word processors. It can also be customized as per requirement. You may also see Electrical Engineering Resume. 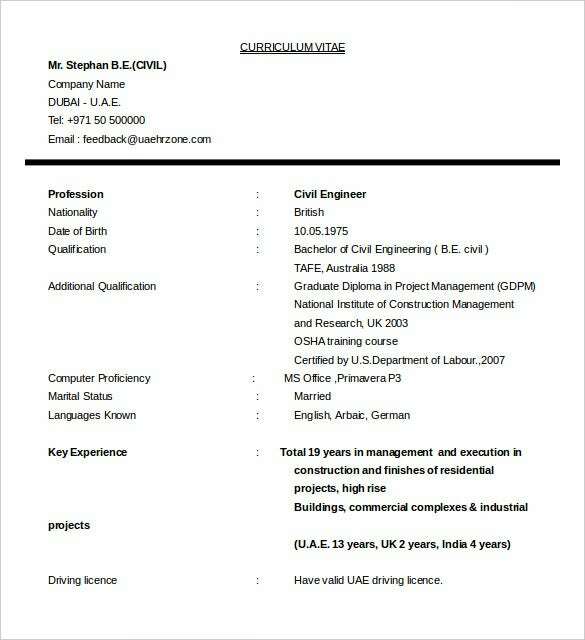 uaehrzone.com | Download for free the Sample resume for civil engineering template. This is again another template that would cater to the fresher and mid-level workers. It is fully editable and comes with a generalized format. 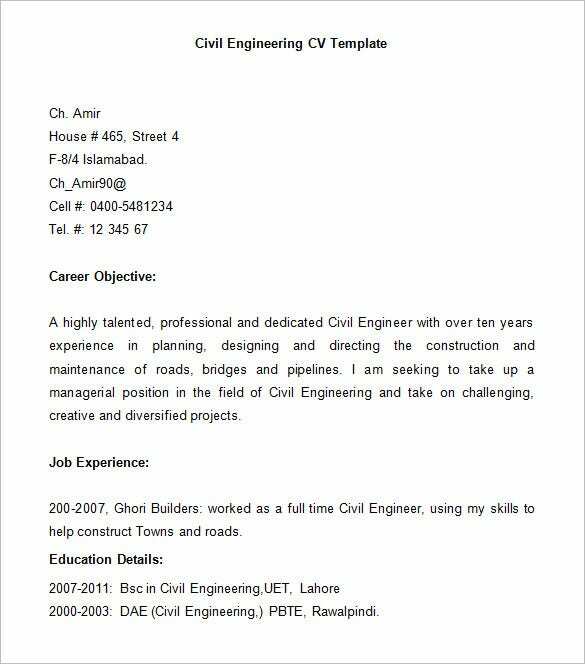 cv-resumesamples.blogspot.in | Free Download senior civil engineer resume template is perfectly apt for those who plan to provide detailed outlook about their career objectives but within a single page. It may appeal to a certain section but not to the masses. 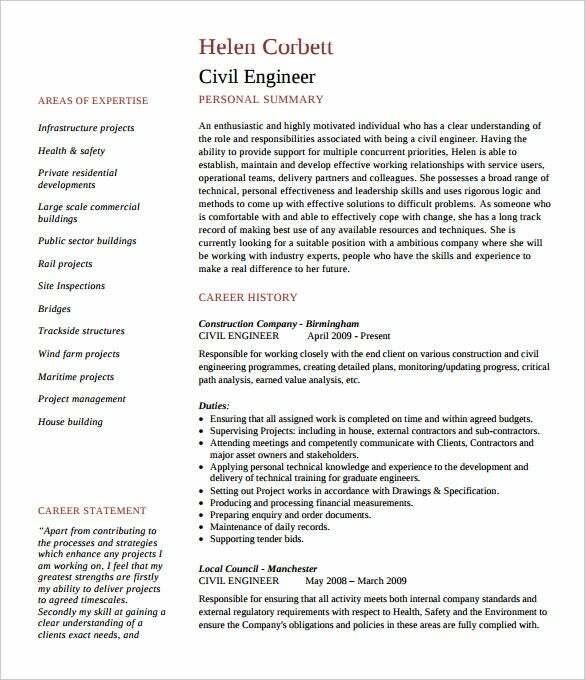 careerride.com | Civil Engineer Resume template is probably the most professionally looking resume writing for civil engineer format in the list. The perfect culmination of different colors and white spaces make it very attractive. It is editable. 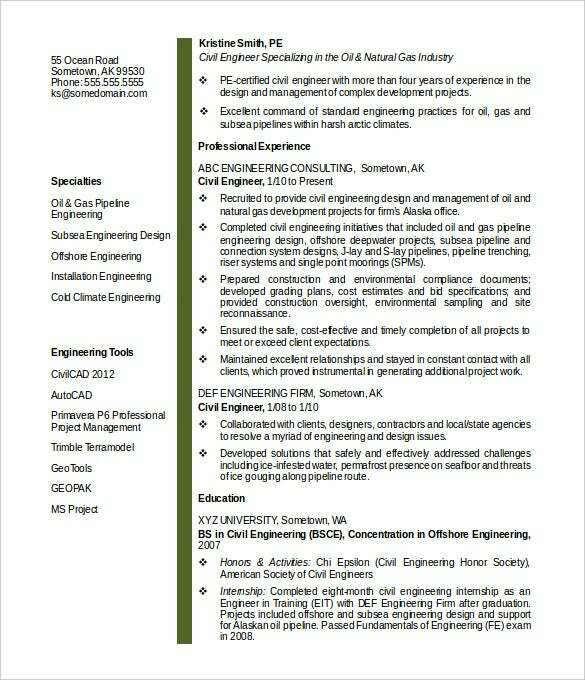 Civil Engineer Resume example With Professional Experience Printable resume template is basically apt for the fresher. 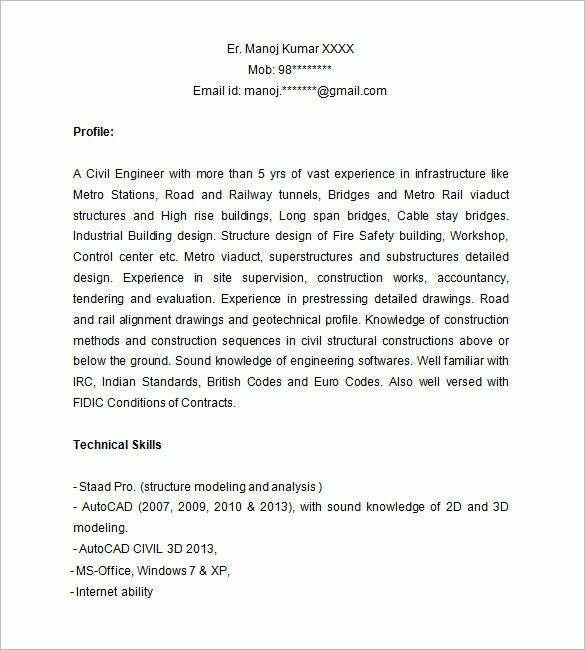 This resume for diploma civil engineer fresher comes with multiple pages being crafted perfectly with professional formatting and designing. It is editable. It is not only about copy-paste. What makes sense is bringing out your creative mind set. While framing the content, it is necessary to focus carefully on the strengths, objectives, etc. in a proper way. Use simple words without any grammatical error. Simple copy-pasting would do no good to the free resume development part. 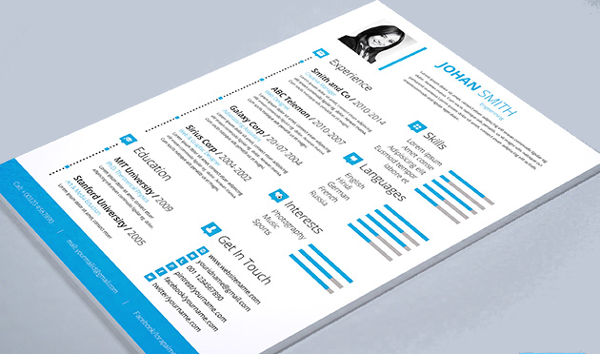 How visually appealing is your resume would definitely matter. It is recommended to use the sample section in the resume while using creative mindset to generate something really awesome. 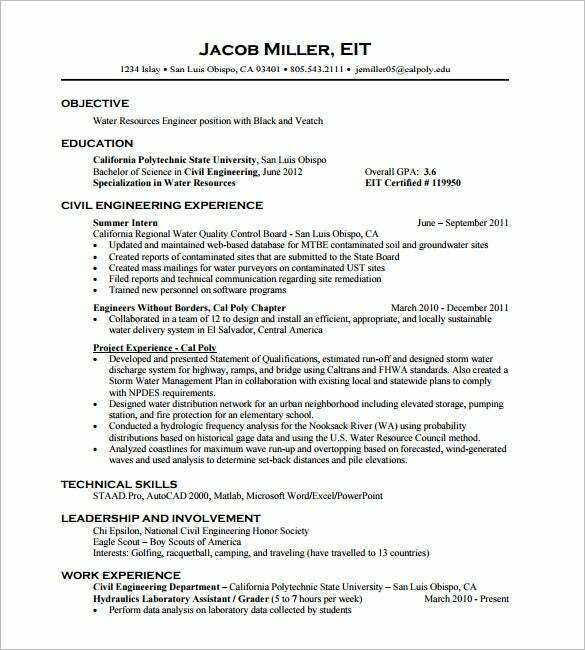 The white space in the resume examples needs to be filled out efficiently. Although employer’s don’t care much about the design or the white space, still, there is something we call as FIRST APPEARANCE. However, you need to focus strongly on the content. There are several resume processing software tools, resume development wizards, and other tools available to get the job done. What matters most is how cleverly you carry out the formatting and customization. 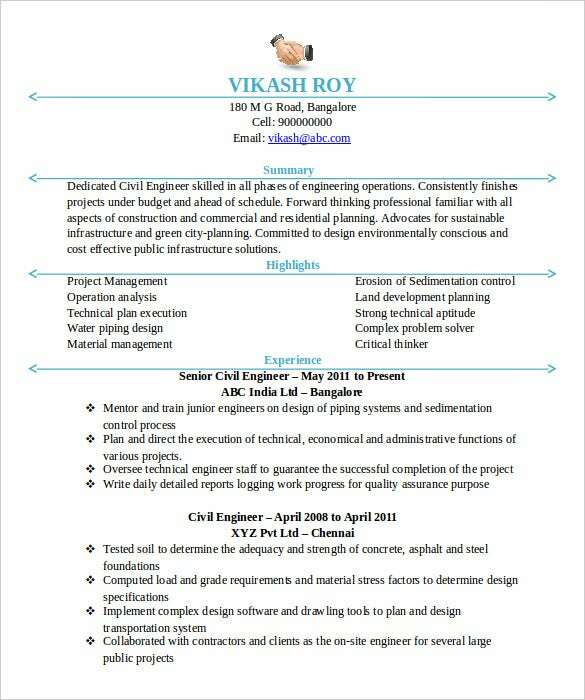 You may also see Fresher Engineer Resume Templates If you have any DMCA issues on this post, please contact us!